Amylose is a polysaccharide that is one of the two components of starch. It makes of 20 to 30% of starch. Amylose is fairly resistant to digestion, leading high-amylose starches to be classified as resistant starches. 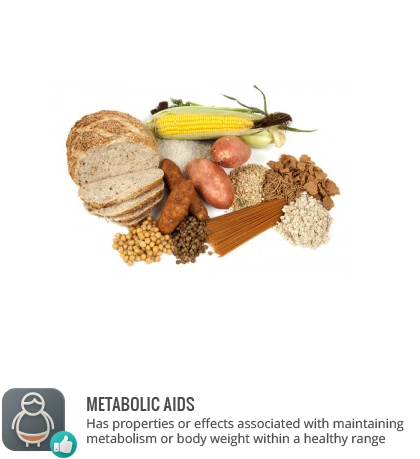 Resistant starch is considered a type of dietary fiber as it typically is not digested in the small intestine and moves onto the large intestine where it acts as a prebiotic. High amylose rice cultivars have a lower glycemic index. Chronic consumption of high-amylose foods was seen to regulate insulin levels in patients with high insulin levels. Starches derived from grains typically contain more amylose than starches derived from tubers. Long-grain rice, russet potatoes, and wheat contain more amylose than glutinous rice and waxy potatoes, for example.